At last month's The Vanishing Flame: Burma event, I had the privilege and honor of meeting Mark Jacobs. Mark currently is a contributing editor as well as writing the monthly column "Far East" for Black Belt magazine. He had no ride to Connecticut and I volunteered to drive him. Prior to our face-to-face meeting, we had exchanged a few emails when he was researching Phil Dunlap for his column. He came across my old archives in his internet searches and got some background on Phil. After his initial email, I thought his name rang a bell and I wasn't sure if he was the author of an article that appeared in the magazine Men's Fitness about the Dog Brothers. I asked him about it and it turns out that was his article. In The Principles of Unarmed Combat, Black Belt Magazine columnist Mark Jacobs breaks down the essential skills of empty-handed martial arts. Whether you train to win in the ring or survive on the street, this book will show you why some fighting skills work and why some don’t. Plus you’ll learn how to troubleshoot problem areas in your training, no matter what style you practice. Mark Jacobs has interviewed doctors and physicists, analyzed key scientific studies and synthesized the best available information about how to make martial arts work better. The result is a comprehensive, heavily researched guide to everything you should know about striking and grappling, offense and defense, and even the mental aspects of training. 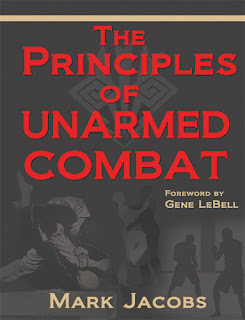 The Principles of Unarmed Combat is made up of over 50 chapters, organized into 10 information packed sections. You’ll get all of the topics you’d expect to find in a comprehensive guide to the fighting arts: posture, footwork, positioning, striking, kicking, takedowns and groundfighting. But unlike most how-to books, you’ll also get hard-to-find insider information on advanced topics like transitioning, fighting from the clinch, pain compliance, fight psychology, real world defense strategies and the dark side of sport fighting. 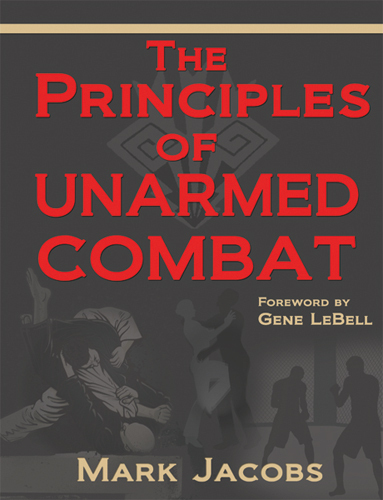 Mark Jacobs has combined his decades in the martial arts with his skills as a professional journalist to create one of the most comprehensive books ever written on the skills, techniques, strategies and tactics of unarmed combat. On the drive down, my training partner was napping as the event finished at 12 midnight, and his car was at my house and he would have to be awake to drive home. As a precaution, I drank a Red Bull AND a Coke Zero prior to the drive home. I was pretty sure I would not fall asleep at the wheel, but you never know. Thank goodness Mark was awake and in a chatty mood. There was one stretch where there were no lamps and it was raining pretty hard. We chatted on various topics including MMA and but of course martial arts. Everyone made it home safe. He offered to pay for gas and I could not and would not accept his kind offer. He had his publisher send me a review copy of his book. The book finally arrived and I will start reading it tomorrow. My review is forthcoming. Although I consider Mark a friend, my review will be objective. At a little over 350 pages and 50 chapters or so, I don't know when I will finish reading and post a review LOL. Check the link out for some sample pages as well as a Table of Contents and brief bio on Mark. Looks like Turtle has free shipping!